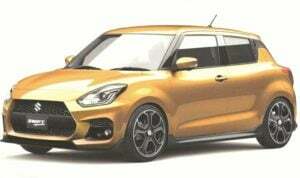 New Maruti Swift Sport Could Be India-Bound! 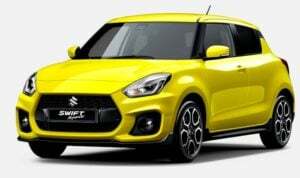 Suzuki Motor Corporation has come up with the much awaited 2017 Swift Sport model. The latest Suzuki seems to be India-bound and will be sold here by Maruti Suzuki India Ltd. While the launch date of the new Maruti Swift Sport isn’t available at the moment, it’s pretty likely that the new car will make its India debut alongside the all new avatar of the Swift at Maruti‘s pavilion in Auto Expo 2018. The Sports version of the Swift makes its global debut at the 2017 Frankfurt Motor Show. Its launch in Japan has just taken place. Based on the new generation Swift, the car you see in the pictures here becomes the road-going performance-oriented version. 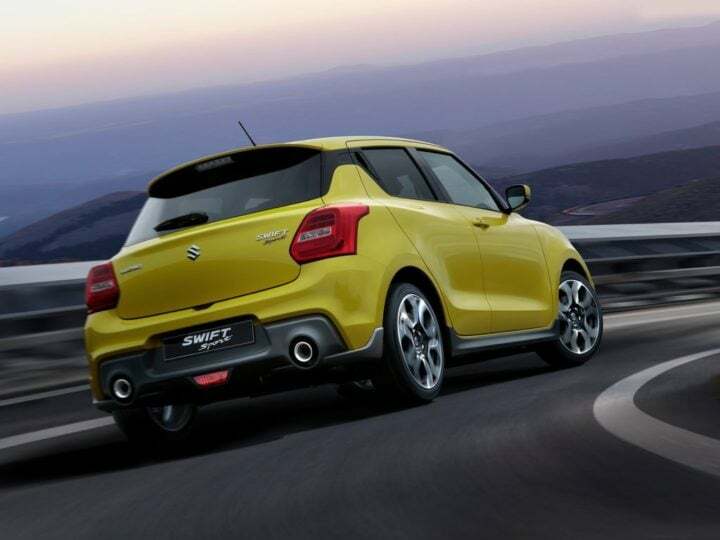 You can read about all the available new Maruti Swift Sport India launch details in this post here. Like we said, the new Swift Sport is based on the latest generation Swift. No surprise that, then, the new model looks a lot like its donor car. That said, the new model does enjoy a handful of new styling elements that lend the car a touch of sportiness. These include a bigger radiator grille and a black lip spoiler at the front. The car also gets a set of new flog lamps, black side skirts and new design alloy wheels. The interior of the new Swift Sport is likely to offer a richer upholstery and a sporty trim. Upon its India launch, the new 2017 Swift Sport will become the second performance-oriented model in the car maker’s lineup. Currently, MSIL offers the Baleno RS, a sportier variant of the Baleno hatchback with a more powerful engine and more powerful brakes. Chances are that the Swift Sport 2017 will be more powerful than the Baleno RS. Internationally, it offers a 1.4-litre K14C Boosteret Turbocharged petrol engine that outputs a max. power of 148 BHP and a peak torque of 245 Nm. This engine is likely to enter production at Maruti’s Manesar facility. This engine offers a max. power of 148 BHP and a peak torque fo 245 Nm. It comes mated to a 6-speed Manual and automatic transmissions. It’s not for sure but who knows, Maruti might finally want to play the Santa and offer stiffer suspension and sportier spring rates for the Indian market. Maruti could even launch the new 2017 Swift RS in India. This car will borrow its 1.0-litre Boosterjet engine from the Baleno RS> This engine outputs a max. power of 98 BHP and a peak toque of 150 Nm. The new generation Suzuki Swift Sport will make its public debut at the 2017 Frankfurt Motor Show in mid-September. The car is likely to make its India debut at the Auto Expo 2018, where the new model will be put on display alongside the new Swift. Subsequently, Maruti might decide to launch this sports version in the Indian market. Obviously, the India-spec version could differ from its international model in some ways. Thanks to lower quality of fuel and the mileage conscious buyers, Maruti might decide to de-tune the car for India. Currently, nothing’s official about the new Maruti Swift Sport India launch date. However, we’re expecting a late-2018 launch. We’ll keep you update with developments related to this car’s launch date. Quite obviously, this car won’t come cheap. 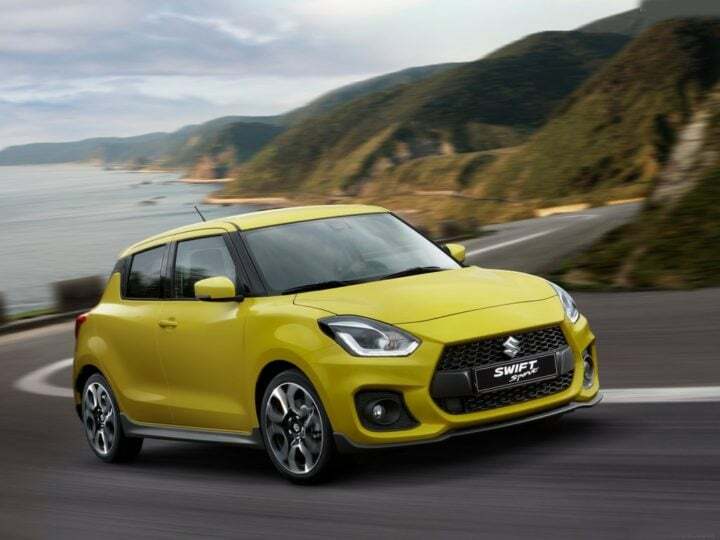 Thanks to a bigger, more powerful engine and several styling updates, the new Maruti Swift Sport will command a significant premium over the standard model. In India, the Swift Sport will go on to rival the likes of Volkswagen Polo GT TSI, Fiat Punto Abarth and even its own sibling, the Baleno RS. The car is likely to go on sale at a starting price of around Rs 10 lakh. The fully loaded version could cost around Rs 12 Lakh. We’ve always felt that there’s an element of sportiness with the Swift. The previous two generations of this car have been a favorite amongst those looking for a reliable, sufficiently fun well-priced hatchback. It has even made a mark in the Indian rallying scene. The Swift Sport will only make all this sweeter, no? The new 2017 Maruti Swift Sport will become the most powerful hatchback to wear a Maruti badge. Currently, this title belongs to the Baleno RS, which gets a power-packed K10-C 1.0-litre Boosterjet turbocharged engine. This engine outputs 100 PS and 150 Nm. The Swift Sport, however, gets an even bigger engine! Powering the new model is the K14-C 1.4-litre Boosterjet turbocharged engine that outputs a max. power of 140 PS at 5,500 RPM and a peak torque of 245 Nm between 1,500-4,000 RPM . 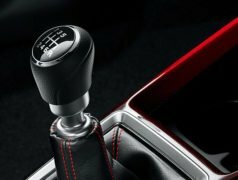 There are two choices for the transmission – 6-speed Manual and 6-speed Automatic. Honestly, we’re not sure if India would get the new K14-C engine. Thanks to lower quality of fuel and India’s love for cars that deliver a high mileage, Maruti might end up plonking the K10-C into the Swift Sport’s engine bay. 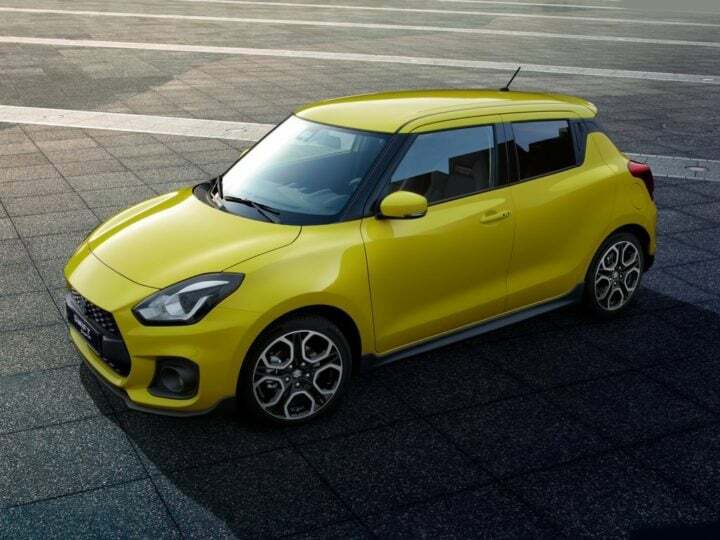 The fuel mileage of the manual transmission Swift Sport is around 16.4 KMPL, as per the Japanese test cycle. The automatic version offers roughly 16.2 KMPL in same test conditions. The new Sport model of the Swift is based on the latest generation of Maruti’s popular hatchback. The 2017 Swift Sport, while looking a lot like the regular new-gen Swift, gets some styling updates for that hint of sportiness. The car will get a bigger radiator grille along with a black lip-spoiler for the front bumper. This lends a really sporty touch to the car’s nose. Also, the Swift Sport gets a new pair of foglamps and an updated front bumper. Moving on to the side, quick to catch your attention are the black-painted side skirts and the really attractive alloy wheels. The rear gets a new bumper, which, along with with twin-pipe exhaust system, makes the car look sportier. The interior also gets some changes. While the design of the dashboard and other panels will be the same, the cabin gets sports seats and red inserts at many places. The new dashboard trim infuses some sportiness with the car’s interior. Features on offer include the SmartPlay infotainment unit, leather seats, dual front airbags, sporty pedals and auto aircon. We’ll discuss the equipment list in more detail in the next section. The sports model of the Swift 2017 could make for an interesting addition to the new Swift lineup in India. With the popularity of performance-oriented hatchbacks on the rise, Maruti is very likely to launch this Sport variant of the 2017 Swift, but maybe not at the time of the launch of the new 2018 Maruti Suzuki Swift. This performance version of the Swift has a minimum ground clearance of 120 mm. The new car gets wide 195/45 section rubber on 17-inch alloy wheels. Not much more is known about the new Maruti Swift Sport 2017. However, you can safely expect us to update you with more launch date and price details as soon as we get our hands on some.